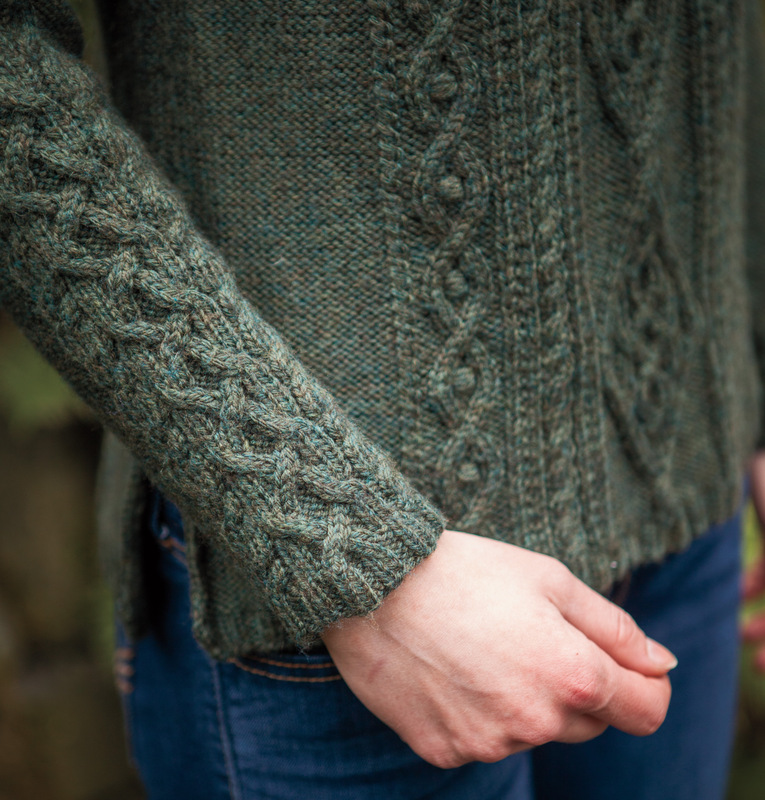 Rhiannon, Celtic for “Divine Queen”, is a cable-lover’s dream. Emblazoned with diamonds for her majesty, this pullover is fit for a queen and for you! 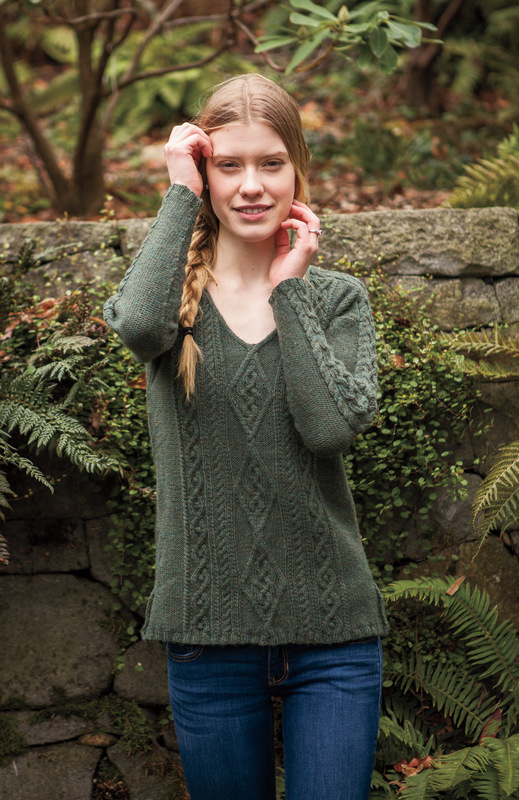 Part of Knit Picks’ latest stunning collection, Celtic Journey, Rhiannon is one of 8 cabled creations. The cable panel features a dominant repeating diamond, each embedded with a Celtic braid. Supporting cables include 4st twists flanked by seed st ladders, smaller diamonds with centered wrapped sts (easier than bobbles), bordered on the outer edges by a 2st twist. Various sizes are achieved by repeating the supporting cables and widening side sections proportionately. Worked from the bottom up, vents at the sides and positive ease provide a flattering fit for all sizes. I chose a modest V-neck collar for it’s comfort and versatility; a top underneath can change the look entirely. Worked in Knit Picks Swish DK in Lost Lake Heather, this sweater is as comfortable to wear, as it is fun to knit :). 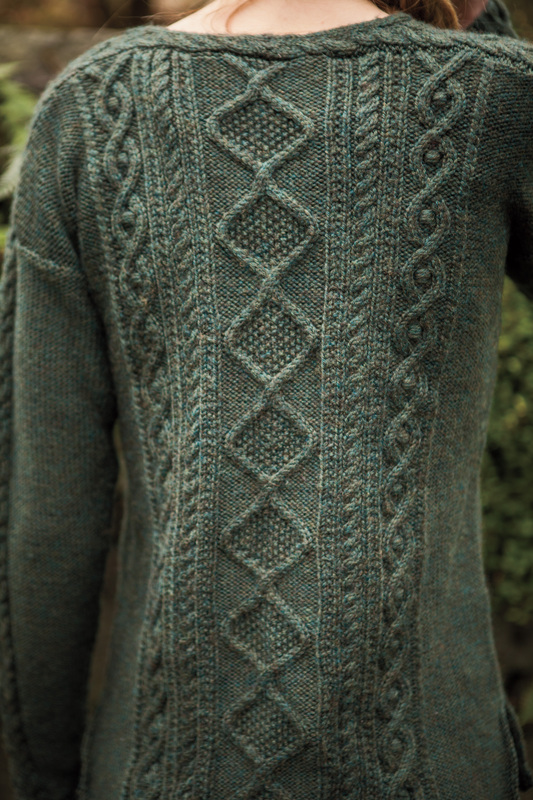 For more information, check out this collection on Ravelry —–> Celtic Journey. Wow! I love the fit! Dashing over to Ravelry to add it to my queue!